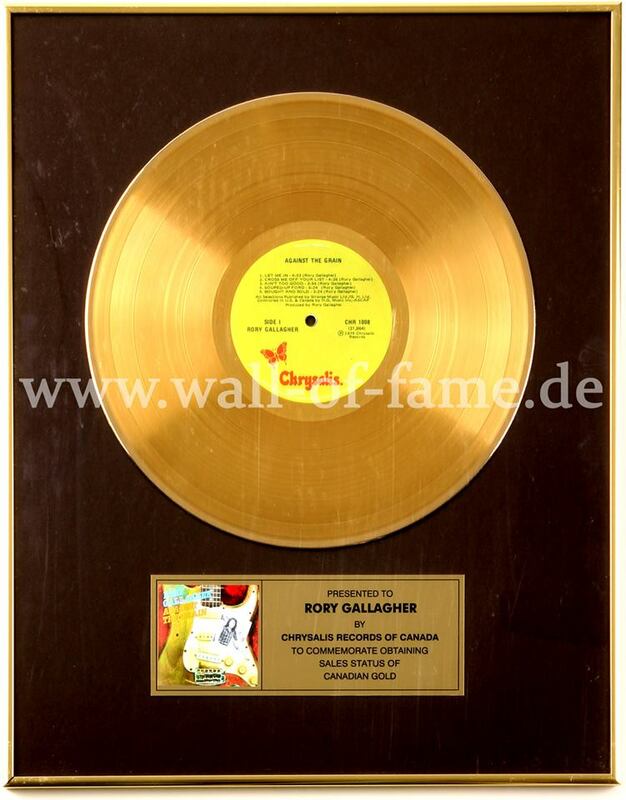 Vivian Campbell a écrit: “This is a studio album that Rory did. He recorded very raw, really in-your-face style; there wasn’t a lot of production elements to his studio sound. Unlike a lot of pop music, the guitar was very prevalent in the mix. Award commemorating "Against the Grain" album achieving Canadian gold status !! !